Gionee just adds two new flabbergast smartphones to its A series, the Gionee A1 and Gionee A1 plus. These two devices are selfie-focused ones. The key highlight of the devices are camera and battery and hence the company adds a tag line to the devices - "Super Selfie, Super Battery". The vital element of these new smartphones is the massive 20-megapixel camera and 16-megapixel in the former's case on the front which is also assisted by a flash, and various additional software tidbits. 4010mAh battery on the A1 and 4550mAh for the A1 Plus. Gionee A1 sports a 5.5 inch full HD display with 2.5D curved glass display with Gorilla Glass protection, while Gionee A1 Plus packed with a 6-inch full HD display. They both feature fingerprint sensors and will both run Android 7.0 Nougat out of the box (with, of course, the Amigo UI on top). 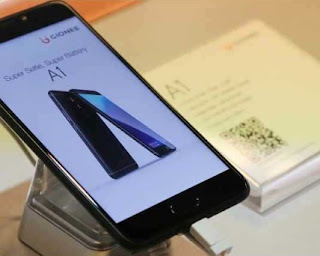 Talking about the storage, Gionee officials reveal that A1 bears 4GB of RAM with 64GB of storage capacity, which can be further expanded up to 128GB via a microSD card. Pricing: A1 is expected to go for EUR 349 and EUR 499 for the Plus. Availability: Gionee A1 will be available from March, while the Gionee A1 Plus will be available to the consumers only by April, along with the Nokia Android devices and Samsung Galaxy S8. Classical smartphone for the selfie lovers out there. Hello guys, it seems Etisalat noticed that the subscribers are not patronizing their previous poppycock night plan, Etisalat is here to make slight adjustments. We all know that Airtel is offering 500MB for N25, Glo offering 1GB for N200 and MTN offers the same 500MB for N25 for those who have meaningful things to do at night. Etisalat on the other hand lately realized that subscribers need a cheaper night plan, hence decided to launch another night plan package. The new Etisalat night plan cost N50 for 250MB and is available for the Easycliq tariff plan. This night plan works for all devices ranging from Android Smartphones, iPhone/iPad, PC/Tablet, BB10, Windows phone, Symbian/Java phones; you just name it. Note that it's only usable between 12:00AM to 5:00AM. What is your own view about this new introduced Etisalat Night plan? It only costs $52 to go back in time with Nokia's relaunched 3310 mobile phone. The phone was originaly launched 17 years ago in 2000 and sold over 120 millions units worldwide, making it one of the world's best-selling mobile phones according to Mirror. It's features like long battery life, durability, and the addictive game Snake – made it a favourite in it's time of reign. The revamped Nokia 3310 was unveiled during HMD's press conference at Mobile World Congress 2017 (MWC) in Barcelona this week 2017 on Sunday, February 26th. HMD is the Finnish company with exclusive rights to market the Nokia brand. The Central Bank of Nigeria has introduced new measures to increase Foreign Exchange availability in the Nigerian Foreign Exchange Market, and ease the difficulties encountered in obtaining funds for some invisible transactions. Applications shall be for not more than $15,000.00 or its equivalent per term/semester. Sales of Foreign Exchange by the Central Bank of Nigeria for PTA and School Fees will hold every Tuesday. Please visit any FirstBank branch, speak to your Relationship Manager or call FirstContact on 01-4485500 for more enquiries. Thank you for banking with FirstBank. If your email address has changed or will change, please update your records at any of our branches. Also note to add the sender of this email to your contact list to ensure you receive our mails. 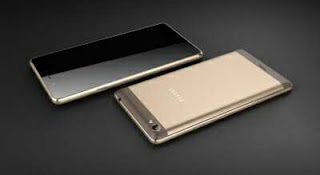 Tecno mobile is already on course to unveil another powerful device, a successor to Tecno L8. The company is embarking upon a more sophisticated Tecno L9. The L8 is well-known for its powerful battery. The smartphone has two versions, the normal L8, and the L8 Plus. The upcoming Tecno L9 will also have two versions, Tecno L9 and Tecno L9 Plus. Tecno L9 and Tecno L9 Plus will be the latest addition to the L-Series and also Tecno first Smartphone this 2017. As expected, there will a much better design and software upgrade on the L8. Tecno-mobile has come again with their innovative marketing strategy, the last time, it was #BeautyAndTheBeast which is Tecno Phantom 6 and Phantom 6+, but this time, they dare the boyfriend association with their hilarious caption. L-series phones are known for coming with high capacity batteries, as the L8 and L8 plus all have a massive 5050mAh battery capacity, it's expected that the TECNO L9 and Tecno L9 plus will not be an exception, but coming to other specs like RAM size, Tecno L9 is expected to feature 3 GB while the Tecno L9 Plus should come with a 4GB RAM. Tecno L8 supports the 2G, 3G and 4G network. The support the three generations of networks is excellent, so we expect Tecno L9 and L9 plus specs to do the same. L9 plus might do better with the upload and download speed of the three networks. L8 is a dual SIM smartphone and has a body dimension of 154 x 77.5 x 8.85 mm. Tecno L8 weigh about 135 grams. Tecno L9 is however expected to be larger. There may be the reduction in its weight and thickness. Also expected to come in more varieties of colors, unlike the L8 which has only two varieties (black and white). Tecno L9 will likely use the same IPS capacitive touchscreen that is used in Tecno L8. The IPS capacitive touchscreen is also expected to support over 16 million colors. Unlike the Tecno L8 which runs the Android 5.1 Lollipop operating system, the upcoming L9 and L9 plus are expected to come with Android 7.0 Nougat. The 16GB internal storage in Tecno L8 is relatively small, so we expect a larger internal storage space. It is difficult to tell what type of processor the upcoming Tecno L9 will feature. Tecno L8 features the MediaTek processor, but we expect something of a Qualcomm Snapdragon processor. These are the expected Tecno L9 and Tecno L9 Plus Specs. Stay glued and connected for an updated information on this smartphone, actual release date, and its price. If you are a Guaranty Trust Bank customer, you should be conversant with the GTBank's 737 shortcode service as it allows customers to perform a different kind of transaction like recharging your phone, check balance, transfer funds, paying your bills, opening an account and much more. Transactions using the code 737 take less than a minute to conclude and it can be done at the comfort of your home, by just using the last four (4) digits of his ATM card. Using just the last 4 digits of your ATM card isn't secure enough because anyone who steals your phone and wallet (where your bank card is likely to be) can use the service to clear off all your hard-earned. I'm glad to inform you that GTBank has made the service more secure. The service now requires a 4-digit PIN to be able to complete transactions on the platform. That is certainly a more secure approach to the service than the previous use of your ATM card's last 4 digits. afrideals.com.ng - Nigeria #1 classified website wants you to like their Facebook Page because you shared your email address with them. 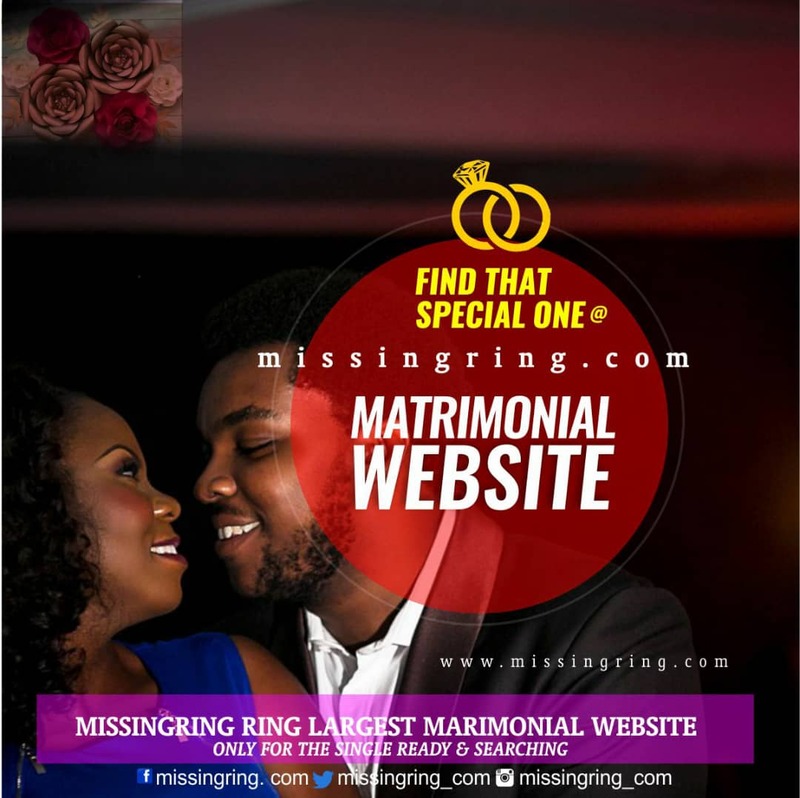 If you didn't share your email address with afrideals.com.ng - Nigeria #1 classified website or you believe that this is spam, please let us know. afrideals.com.ng - Nigeria #1 classified websiteAfrideals Nigeria's No. 1 Classified website Do you have something to sell, to rent, any service to offer or a job offer? 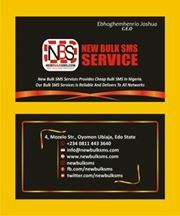 Post it at Afrideals.com.ng Classified website. where ever your are so far as you have an active data plan subscription on your Glo sim. Note: Before you can share, transfer or gift data to another glo user, first you must be subscribe to a glo data plan service that allow sharing and gifting of data to friends and families. To share your data plan on glo to your friends and family simply dial *127*data plan code*receiver's phone number#. For example *127*53*0705843xxxx#. From the given example "53" is the data plan code for Always Macro and it is been send or transfer to 0705843xxxx. You can also share or transfer glo data to your friends and family via sms. To do this, open your Text Messager Type "gift"(data plan Name) (receivers phone number) to 127, That is "gift always macro 0705843xxxx would gift an always macro data to 0705843xxxx. ie *127*01*0705843xxxx#. This process will add the number 0705843xxxx to share your data. To add people to share your data plan via sms, text the word share "(reciever's phone number)" to 127. For example text "Share 0705843xxx" to 127 will add 0705843xxxx to share in your glo data. If you don't want some body to continue sharing in your data, this is how to remove people from sharing your data plan via ussd code. Dial *127*02*removal phone number#. For example *127*02*0705843xxxx#. The number 0705843xxxx will be remove from sharing your data. If you forget a number you added to share on your glo data simply dial *127*00# to view list of people that are sharing in your glo data plan. Want to know the volume of your Glo data subscription, Dial *127*0# or send an SMS with the word "info" to 127. Glo always want to stand out in their data and tariff plan offer. The new glo jolific8 tariff plan offer 800% bonus on every recharge from N100. I don't think there is any other network that beat Glo Jolific8 tariff plan bous offer. This is the only tariff plan that offer 800% bonus on any recharge of N100 and above. Glo also have the best data offer which you may like to subscribe and enjoy browsing. Glo jolific8 is just like Welcome to Airtel tariff plan that offers 500% bonus on all recharge of N100 and above. Every recharge gives 8 time the value of the recharge amount. Every recharge comes with free voice and data bonus. Every recharge comes with a free to gift to your friends & families. Note: You can't opt in to jolific8 tariff plan. ONLY new glo SIMs can enjoy this benefits. Also once you migrate out of the plan you will stop receiving the bonuses and you cannot opt in to it again once you are out. In order to benefit from glo jolific8 tariff plan, you need a NEW glo sim because this plan comes with a new glo sim and you can't opt in with an old glo sim. To check your balance simply dial #122# for voice balance and *606# for data balance. To transfer glo gift data dial *606# and follow the on screen directives. I think that's all on GLO jolific8 tariff plan. If there's anything we have obit feel free to let us know on the comment box. Airtel is one of the internet Network providers that are best known for their fast speed of internet access. Today i want to presents to you their data plans and what it has to offer you. I am an airtel fan when it comes to high speed browsing but a little displease i observe from them is how they sap their data bundle, though this is only applicable to some plans, especially when you are not a Blackberry user and you subscribe to the blackberry plan. So my advice is when you want to subcribe to airtel data plan, carefully choose a data plan that is suitable for your device in order to avoid data sapping from airtel. We have help you do this by carefully sectioning airtel data plans base on your type of phone. Airtel N2000 android data plan gives you 3.5GB, valid for 30 days. Works on all devices. How to subscribe; dial *437#. Airtel N2500 android data plan gives you 5GB. Valid for 30 days. Usable on all Devices. To subscribe to this Data plan dial *437*1#. Airtel N3500 android data plan gives you 7GB. Valid for 30 days. Works on all devices. 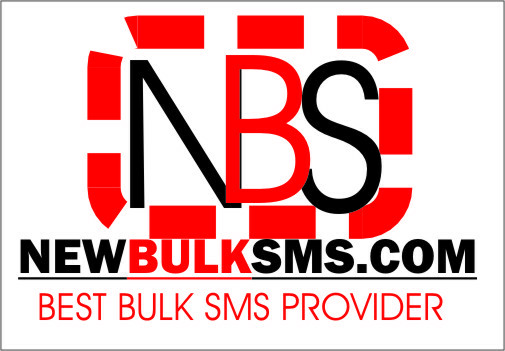 How to subscribe; dial *438#. Airtel N1500 Blackberry plan (Unlimited Month) give you 3GB unlimited data valid for 30 days. How to subscribe to his plan; dial *435#. Usable on all devices. Airtel N1000 blackberry plan ( BB complete Month) gives you 3GB worth of data. Valid for 30 days. Note: These blackberry plan works only on blackberry phones. Airtel N525 blackberry plan ( Unlimited week) gives you 200MB. Valid for 7 days. How to subscribe; dial *440*17#. Usable on all devices. Airtel N100 blackberry plan ( Unlimited Day) give you 40MB. Valid for 24 hours. How to subscribe; dial *440*18#. Usable on all devices. Get 30MB for just N100 on airtel. Valid for 24 hours. To subscribe Dial *410#. Get 50MB for Just N200 on aitel. Valid for 3 days. How to subcribe; dial *412#. Get 750MB worth of data for N500. Valid for 7 days. How to subscribe dial *418#. This plan is suitable for those who just want to stay connected on their social network to chat with friends and Love ones. Opera Mini Bundle: Airtel opera mini bundle gives you access to browse on opera web browser, chat on facebook, Twitter, whatsapp , We chat and 2go Messenger. Do you just wnt to stay social and also browse some few information on the www world, Then this is the bundle plan for you. This plan charge N300 for 250Mb worth of data valid for 30 days . To subscribe to this plan dial *885*1#. Whatsapp Bundle: Airtel Whats-app bundle give 15MB for just N100. Valid for 15 days. When you subscribe to this plan you also have access to browse on Facebook, twitter and 2go. How to subscribe; dial *948#. WTF monthly Bundle: Get 80MB to chat on Facebook, twitter, we chat, whats app and 2go for N200 valid for 30 days. How to subscribe dial *990#. Airtel time base 30: Get 30 mins unlimited access to the internet to browse, downloads. This plan is suitable for those who have something to download quickly. You pay N300 and get unlited access for 30 mins. How to subscribe to this time base plan dial *439*3#. 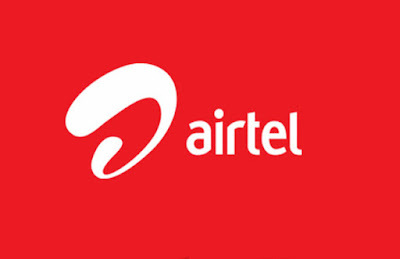 Airtel time base 60: This plan give you unlimited access to browse and download for 60 mins. You pay N500 and gain unlimited access for 60 mins. Airtel Night Plan 120: These plan give you unlimited access for an allocated period of time to browse and download movies. Its work only at night. The charge is N1000 and its usable between 12am to 6am. Get some interesting movies to download then these plan suit your purpose. The speed is uncontrollable ie it browse steady and stable. How to subscribe to this Plan dial *481*2#. Airtel Weekend Bundle 200: This plan give you 200MB worth of data for N200 to browse on weekend. Works from 12am on Saturdays and 11;59pm on Sundays. How to subscribe to dial *472#. Airtel Weekend Bundle 500: This plan give you 500MB worth of data for just N500 to browse on weekends from 12am on Saturdays and 11:59pm on Sundays. How to subscribe dial *473#. Smart 5: Smart 5 is an airtel internet plan which give you 12GB data for N5000. Valid for 30 days. How to subscribe dial *452#. The charge rate is as follows; 1kobo/kb from 10pm to 6am and 2kobo/kb from 6am to 10pm. Smart 8: Airtel smart 8 plan gives you 24GB data for N8000. Valid for 30 days. How to subscribe dial *460#. The charge rate of this plan is as follows; 1kobo/kb from 10pm to 6am and 2kobo/kb from 6am to 10pm. 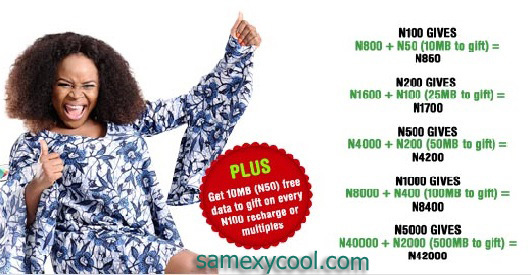 Smart 10: Airtel smart 10 plan give you 34GB data for N10,000. Valid for 30 days. How to subscribe dial *462#. The charge is schedule as follows; 1kobo/kb from 5pm to 6am on all weekdays and weekends. Smart 15: Smart 15b is an airtel data plan which give you 30GB data for N15000. Valid for 60 days. How to subscribe dial *463#. This plan comes with a FREE DONGLE/DONGLE-MIFI/MIFI. You can use this data plan to provide internet access for the whole of your family. Smart 36: Airtel smart 36 is a data plan that give you 50GB data for N36,000 valid for 180 days. It also comes with a Free Dongle/Dongle-Mifi/Mifi/Router. How to subscribe dial *406#. 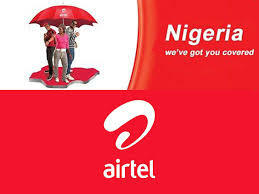 Smart 60: Smart 60 is an airtel data plan that give you 100GB for N70,000 valid for 365 days. How to subscribe to this plan dial *407#. It comes with DONGLE/DONGLE-MIFI/MIFI/ROUTER. Smart 136: Airtel smart 136 plan gives you 200GB data for N136,000 valid for 365 days. How to subscribe Dial *408#. It comes with DONGLE/DONGLE-MIFI/MIFI/ROUTER. Unliminet 200: The airtel unliminet 200 plans offers 20MB data, 10 mins of talk time and 20 SMS for just N200. Valid for 24 hours. How to subscribe dial *498*1#. Unliminet 600: Airtel unliminet 600 plan give you 150MB data, 60 mins talk time and 60 SMS for just N600. Valid for 7 days ( 1 Week ). How to subscribe dial *489*2#. Unliminet 3000: This airel plan offers 2gb data, 180 mins talk time and 300 sms valid for 30 days. How to subscribe dial *489*3#. Unliminet 5000: Airtel unliminet plan offer 3GB data, 300 mins talk time and 500 sms valid for 30 days. Everybody needs to have a business which is both gainful and respectable, and email promoting is an awesome piece of building your organization towards your objectives. Utilizing the correct systems will guarantee that you keep the clients you as of now have and get new ones too. Perused on to discover some counsel you can't advertise without! Build up a reliable organization and timetable for your promoting messages. By doing this, your clients will realize when and what's in store. Locate an expert format that suits your business and utilized it without fail. Alarm your clients to the most pertinent data toward the start of the email. When sending an email as a component of your advertising effort, don't utilize an easygoing text style. You need clients to consider your item or business important, and they most likely won't do that with an extraordinary text style. Choose a text style that is outstanding, for example, Times Roman Numeral, Arial or Verdana. While online advancement is basic, don't neglect the chance to advance your mailing list disconnected. To construct both new endorsers and potential customers, search for any open door conceivable to get the word out. Some extraordinary chances to construct your business can be found at systems administration occasions, public expos, meetings and neighborhood social affairs. Test your email designs. Incorporate the data that is most essential, and in addition new offers, at the earliest reference point of your messages. Attempt distinctive configurations with a specific end goal to see which evokes the most reactions. After you've found an arrangement that works, execute it in every one of your messages. Your clients will recognize what's normal from both closures, and in addition where to watch when searching out more data. You ought to attempt and construct an email rundown as well as can be expected from systems administration face to face and additionally on the Internet. You ought not purchase or lease arrangements of names that you will email to rustle up business. There is no assurance that any of the general population you contact will be intrigued and you may even wind up getting answered to your email specialist organization. You have to ensure that you are utilizing a determined technique. Industriousness is something worth being thankful for by and large, however it is best when it is practiced on an open group of onlookers. Keeping on focusing on the wrong gathering of potential customers basically makes malevolence and is not a decent utilization of assets. Try not to utilize pictures for imperative data in email advertising. A considerable measure of email customers will piece pictures immediately. Your messages can appear to be disjointed and ugly in the event that they depend a lot on pictures. Utilize clear, plain content to pass on the most vital data, and utilize elucidating alt labels for any pictures that you incorporate. Everybody realizes that email channels are getting increasingly strict. Design and different things incorporated into messages are shut out, so a peruser won't not perceive what you are attempting to state. Consequently, a good recommendation is to utilize plain content with a hyperlink to your site. When you are experiencing the way toward selecting in, you ought to make it an indicate get the names of your clients. This permits you to address every client separately in the email, customizing your message. This individual association helps beneficiaries feel noticeable as opposed to only one of the horde of individuals who are accepting a mass email. This will make them more intrigued by your messages. Tell clients what's in store from the get-go. At the point when another supporter picks in, send a quick affirmation email that subtle elements what the client can hope to get from you and how frequently you will send messages. Filling clients in forthright can forestall future pick outs and objections and keep supporters dynamic. The messages you convey as a component of your showcasing effort ought to begin with an inviting, customized tone. Incorporate the name of the beneficiary in the title and the opening of the message. This will make your clients feel more open to your message and probably belittle your business. On the off chance that you are new to email advertising, get in the propensity for editing your messages before sending them. Messages can be composed rapidly and fail to edit happens frequently. You're just sending an email, isn't that so? Off-base! Your email advertising efforts are a critical part of your business, and they ought to be executed professionally and alluringly. Offer impetuses. Individuals may be reluctant to give their agree to get messages. Take a stab at offering some kind of motivator as a reward for accepting messages from you. Offer coupons or elite promo codes. Ensure that there is content in these messages that they will discover both beneficial and helpful. There is nothing amiss with making your promoting messages in HTML, however you may think that its compensating to offer it a reprieve occasionally. A straightforward message made in plain content will be taken as somewhat more close and somewhat less formal by your supporters. In the event that you practice balance, sending plain content messages can energize faithfulness and attract your perusers nearer to you. Request consent before you email potential clients. When you email your clients without asking them, they may think you are a spammer and not read them. Your clients could quit your mailing list, however a far and away more terrible situation is whether they report you as a spammer and you wind up boycotted. Make certain it's simple for your endorsers of overhaul their email address on your rundown. In the event that a client changes their deliver yet needs to get your mailings, you would prefer not to lose them. Give a simple connection inside your promoting messages where they can overhaul their email address, and you will hold more clients. Every one of the tips in this article have made different organizations fruitful on the web. So utilize them to their fullest to convey yourself nearer to your objectives. The measure of exertion you put into your crusade will specifically correspond with the expansion you find in movement and benefits. So endeavor to get awesome outcomes! Are you uncertain of how to begin an email promoting effort. On the off chance that you need to know the key to making an effective email showcasing program, continue perusing! This article will share some incredible tips and counsel to help you take full advantage of email advertising. Make sure of the considerable number of hues you use in your email are impartial. On the off chance that hues are excessively tasteless, the client might not have any desire to peruse the article. Then again, if the hues are too splendid, it could baffle the peruser. Attempt to stay with unbiased hues, similar to dark, dim, and white. When sending an email as a feature of your showcasing effort, don't utilize an easygoing textual style. You need clients to consider your item or business important, and they most likely won't do that with a phenomenal text style. Choose a textual style that is outstanding, for example, Times Roman Numeral, Arial or Verdana. When you request that individuals pick in, let them comprehend what's in store. Reveal to them what you will send and how frequently you will send it. Individuals will probably join in the event that they realize that you are not going to surge their inboxes with tedious messages that they have no goal of perusing. To keep your email beneficiaries connected with, utilize different arrangements for various sorts of perusers. For instance, on the off chance that you get an email address from a deal, that client ought to get an exceptionally particular inviting email than a peruser whose email you got from a lead. In the event that perusers aren't getting what they need from messages, then they basically won't read them. 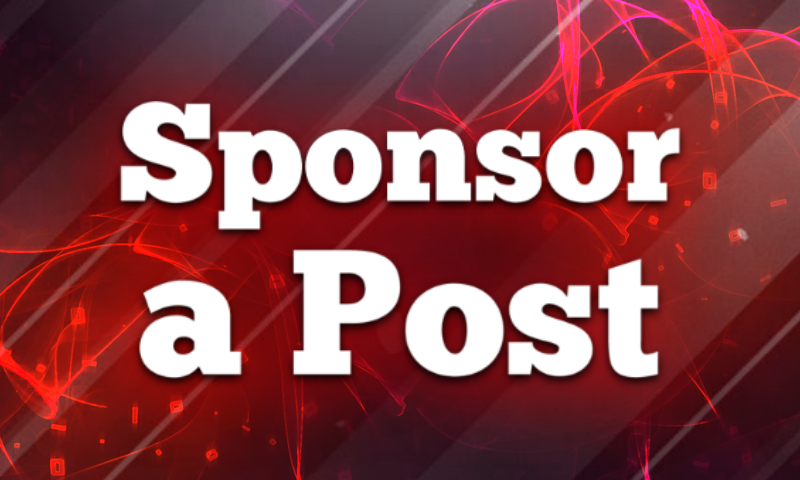 in the event that you come up short on thoughts for your email advertising effort, take a stab at permitting your clients to help you. Do things like record inquiries that you get from clients. At that point when you go to send the following email, you have a subject. Make a point to incorporate the client's name for credit as well. Keeping in mind the end goal to exile all worries about spam and guarantee that nobody on your supporter rundown is there by error, consider utilizing a twofold pick in procedure. 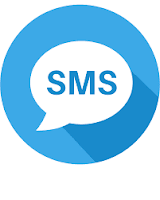 Your first message ought to require some kind of extra activity, such as answering or tapping on a connection, to verify that the peruser needs to get further messages. When you are building a viable email promoting effort, you need the correct join frames on your organization site. Ensure you have them on each page, and furthermore ensure that they are in the best possible areas on your site pages. This is vital to getting the clients to join. Abstain from utilizing outcry checks as props in your messages. On the off chance that you need to express a feeling of desperation or significance, utilize the structure of your sentence and the words you decide to have that effect. Abusing this type of accentuation can turn potential clients off and make your message appear to be contemptible. Look at spam messages you get yourself to perceive what you ought not do in your email advertising effort. Make a free email address and post it openly on the web; the spam ought to show up rapidly. Take those messages for instance of what not to do, and create your business messages in like manner. Ensuring that your messages vary fundamentally from those of spammers makes your image appear to be more valid. Offer your guests a free adapting course led through email. You'll have to build up a set measure of automated assistants, separating the lesson into segments. Four to six areas ought to be a proper sum. Ensure the substance is both useful and remarkable. Plan the segments to be conveyed each one in turn at regular intervals. This can furnish you with a large group of advantages, for example, upgrading your site, picking up your clients' certainty, building up your power, and building your email base. Make it simple to unsubscribe. Make the unsubscribe interface unmistakably noticeable in your email, permitting somebody to quit getting email promoting. Along these lines you are less inclined to get announced for sending spam. Likewise, in the event that somebody has unsubscribed, don't commit the error of keeping on sending them email: that is probably going to make them grumble. Before sending any limited time messages to clients or potential clients, make certain to get their consent for contact. Email is an effective apparatus, and buyers abhor when it is abused. Any email contact that isn't started by the customer feels to them like spam. Your clients must consent to get extra messages from you, regardless of the possibility that they have made buys previously. While additional design and different things that can without much of a stretch be obstructed by channels are pointless and unfavorable to your battle, your organization logo needs to be incorporated into request to make things' reliable, well known, and expert when you are in contact with imminent clients. Inability to do this will hurt your email promoting effort hugely. Test and outline your messages to be meaningful and utilitarian regardless of the possibility that the pictures and design get blocked. Many email customers do this naturally. 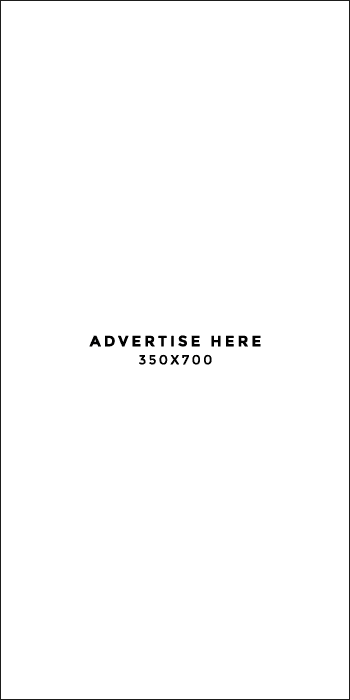 Ensure that any pictures you do utilize have elucidating content substituted by means of the Alternative characteristic that ought to be accessible in your email creation programming interface. Be relentless. Contemplates demonstrate that it takes at least 7 to 8 impressions before your commercials will produce results on a potential client, and it could take some more. You have to get in contact with your clients at any rate once at regular intervals, and expect they won't purchase your item or even snap your connections for a few cycles of messages. You can make an email have numerous parts with a specific end goal to contact the greatest gathering of people. This kind of message would offer customary content and HTML coding to ensure the beneficiary can see it as they favor. The additional exertion this requires is justified, despite all the trouble, since not the greater part of your endorsers will be fit for perusing HTML-based messages and will rapidly unsubscribe from a HTML-just rundown. By consolidating these clues and tips with a tad bit of exertion, you can undoubtedly build up an effective email promoting arrangement. Email advertising can be a basic approach to tell individuals about your items or administrations, so begin today. There is no better time to begin! This website is built based on crowd funding principle. Crowdfunding is actually legal in most countries albeit subject to regulation. Peerfunding members create projects which are displayed and funded by willing members. It is a transparent person to person donation platform. What is the return on the donation? 30% in 2-10 days. You are able to create your own projects up to 130% on your initial donation. Currently, there is a registration bonus of $10 for new members. Referral bonus is a one-time payment of $15. You can't go wrong with peerfunding. You can begin with as little as $40, and build on from there depending on how much confidence you develop about the platform. What are the strong points for Peerfunding.org? 1. There are no guiders. 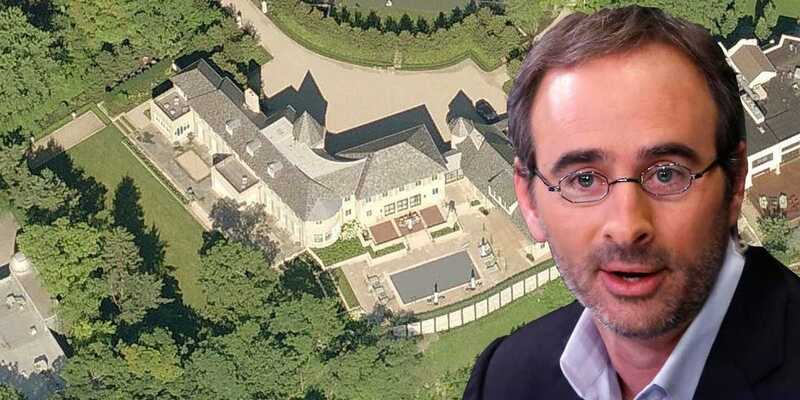 Guiders deplete an MLM system of huge cash. They get paid a lot of money which adversely affect the balance of any system. Better support is gotten from the vibrant community of peerfunders who teach and assist one another. 2. One time referral bonus. So you are paid a one-time fee of $15 for each referral. This is fair enough, unlike systems where you have a chain of referrals and several people in the chain benefiting from a single persons sign up. This is good for sustainability. 3. Fine balance between market forces and Regulation. People are allowed to pick who they want to donate to however the developers regulate the flow by releasing a sequential list of people who are due for payment every hour from 7AM to 12AM, Monday to Saturday. 4. No story of people not knowing when they are matched. You select who to pay to when you are ready. And you can get in touch with whoever you are dealing with. 5. People are eager to pay because your investment doesn't count until you have made payment. Unlike in MMM where your mavros start to grow even without payment. So they is low rate of reserve without pay and even those are resolved promptly by the technical team. 6. It is a global platform allowing dealings using Bitcoin the world leading cryptocurrency. However, if you prefer your local currency, you can also enjoy Peerfunding. 7. Intelligent algorithm to prevent backlogging. It is suitable for those not willing to take high risk as ROD of 30% is very sustainable. Make your steady income without the constant fear of losing your money. Lots of Ponzi schemes has flooded Nigeria now, despite the unfortunate outcome of the MMM experience, despite being unreliable and prone to crash when participants least expected, thousands of people still take the risk. I'm sure that many people now understand the risk attached to it and they willing to take the risk, because life is a risk, not taking risk is riskiest on its own. Peerfunding is one of the Peer to Peer Ponzi schemes that are currently paying. I can't lay it on the line when it will pack up or crash but you do it at your own risk. Contact him on +2348033670592 or +2349053238807 for any inquiry about Peerfunding.